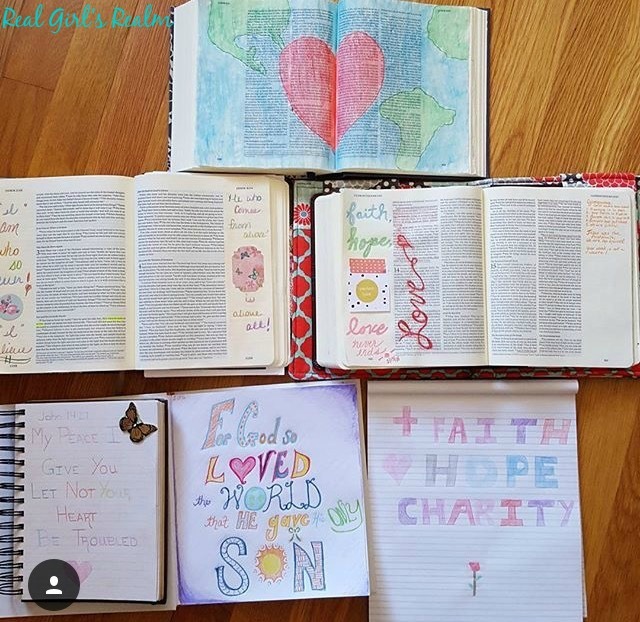 I have been Bible Journaling for several months now and love sharing my pages on social media. I have gotten many questions and comments on what type of Bible it is, how did I learn about it, etc. 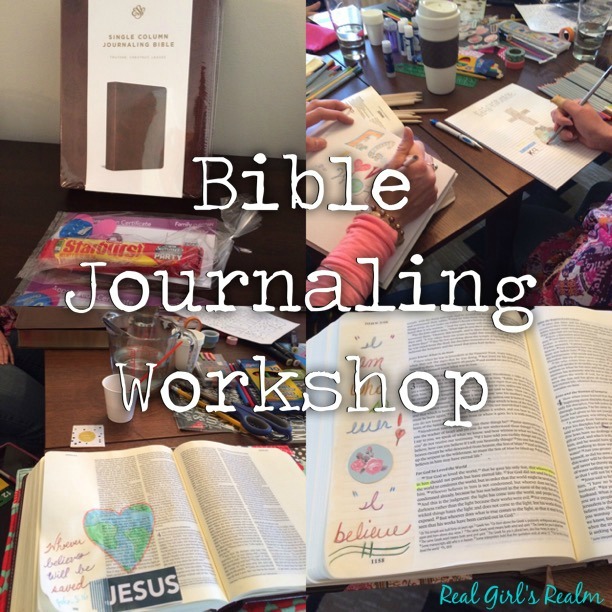 One day my friend Melanie and I were talking about this and we came up with the idea to host a workshop to introduce our friends to Bible Journaling. We hosted our first one a couple of weeks ago and it was a hit with the ladies that attended! Find a Partner - I would have been too intimidated to plan one myself, which is why I jumped at the change to host one with Melanie! This way you have 2 people responsible for invitations, snacks, supplies, and ideas. Decide on a date, time, and location - We chose to have it on a Saturday afternoon to try to accommodate most peoples schedules. We hosted it at my house, since we were going to keep it small, and I could fit up to 10 people in my Dining/Living room area. If you had a lot of people coming, you could have it in your church fellowship hall or even at a park pavilion (in nice weather). 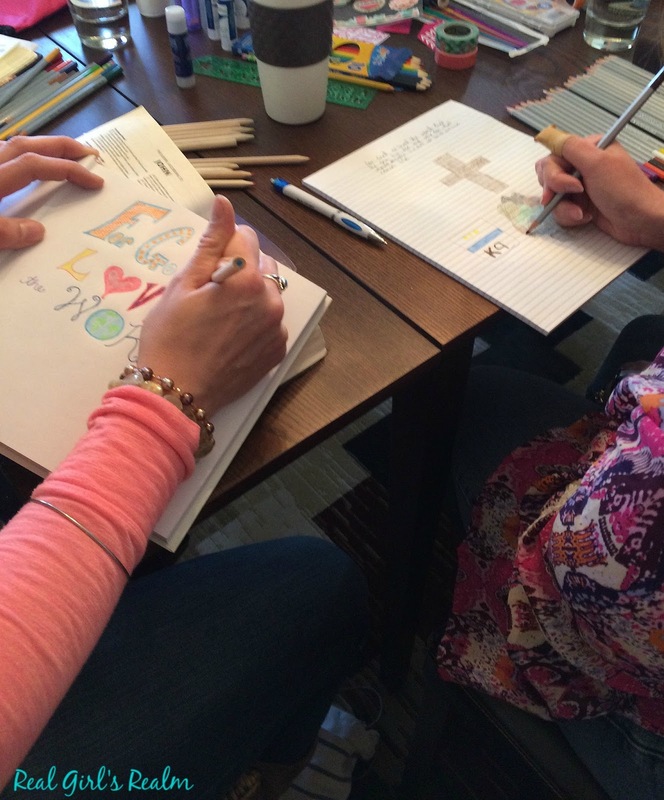 Make a guest list - Since this was our first event, we decided to start small and only invite a few ladies from church and work who had expressed interest in Bible Journaling. We created a Facebook Event, so we could make it easy to RSVP and keep track of who was coming. We also posted teasers and reminders about the workshop in the weeks leading up to it. We invited a total of 16, but only 6 came due to personal scheduling conflicts. One other thing to keep in mind is to try to work around any special events on the church calendar. Decide on the format - We decided to each pick a familiar verse to start with. (John 3:16 and I Cor. 13:13, since it was Valentine's weekend) We also printed out bible verse coloring pages from Pitter and Glink in case someone was not comfortable drawing from scratch. Since Melanie and I are both bloggers for Family Christian, we were fortunate to receive two Journaling Bibles to give away at our event. Purchase supplies - We asked people to bring a notebook, pencil, and colored pencils if they had them. I also picked up some additional colored pencils, watercolors, paint brushes, and stickers at the Dollar Tree to have extra supplies. Melanie and I each brought our personal supplies, like oil pastels, washi tape, water color pencils, and journaling pens. This gave all of us a chance to try out different supplies. I had never tried the watercolor pencils before, and they are amazing! Enjoy the fellowship - We had a wonderful time getting to know each other better while seeing all the creative ways one verse could be expressed! Remind everyone that there is no formula, that you should just do what feels good. For some this could be drawing a picture, or writing out a verse, or just doodling. As long as you are spending time in the word and meditating on the verse, that is all that matters. We had such a great time that we are going to try to hold a workshop a few times a year! 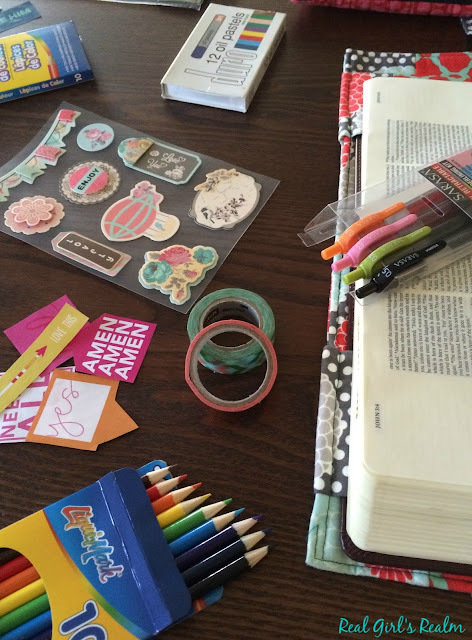 I love the idea of bible journaling! It sounds like it was a success and a fun afternoon! Thank you Jill! We had a great time! I've never even heard of this before! What a great idea to help focus on a verse and the results are beautiful! Thank you so much! I really love spending time in the Word this way! What a great idea!! There are a group of girls that I meet with on Thursdays at the church and I bet they would love to do something like this! We had so much fun that everyone is asking when we are going to do another one! I would love to hear how yours goes if you decide to do it! Nadia, You are welcome to join anytime...if you move to the US! We will have to do a Skype one next time LOL! It was so fun and you would fit right in with all of us!